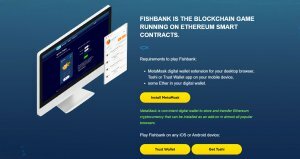 Fishbank is a P2P (peer-to-peer) & PvP (player-versus-player) game set in the deep blue ocean food chain. It is built on smart contracts running on the Ethereum blockchain. Players are collecting, fighting and growing crypto fish tokens to dominate the “decentralized food chain”. Every game asset is an ERC-721 token stored in the Ethereum network that can be sold or transferred just like any other cryptocurrency. 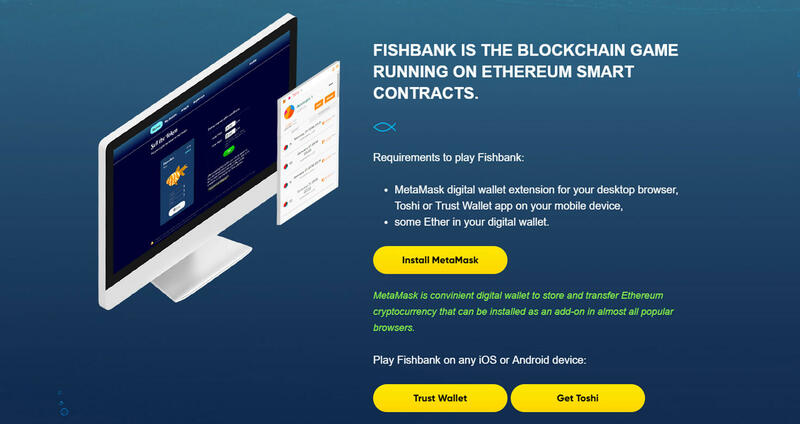 In order to play Fishbank game you need to have Google Chrome or Mozilla Firefox browser with installed MetaMask digital wallet (browser extension). 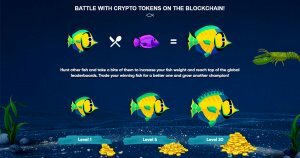 Your crypto fish token is worth right that amount of Ether that other players ready to transfer you in exchange for it. 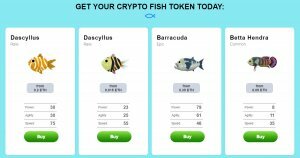 Fishbank is an open market game, everyone may offer his crypto fish token for any price he want or consider fair. Crypto fish price mainly depends on Weight, Rariry, Power, Agility and Speed. For some it may be also very important fot a fish may have the same color of all of its “parts”.